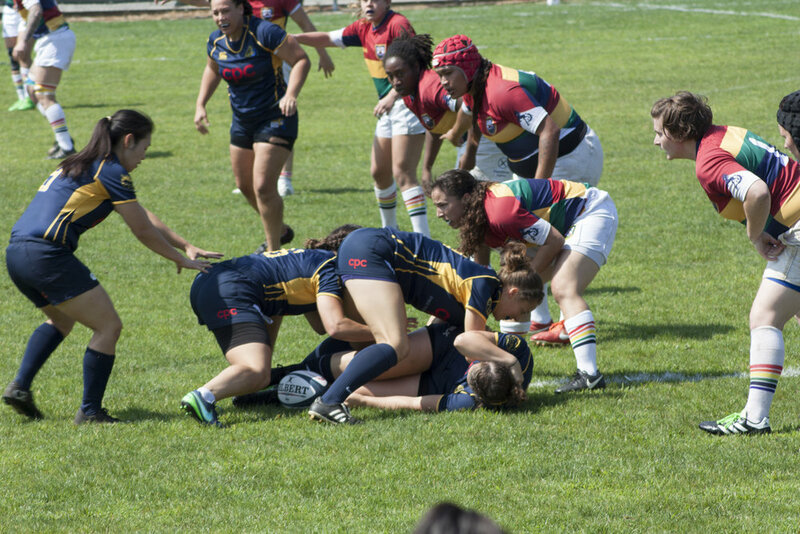 Berkeley, CA- After a nice bye week, the All Blues are back in action with a match up against the 2014 WPL Champion, the Glendale Raptors. With the win from last game’s match up against the San Diego Surfers, this looks to be a key match up for the All Blues with Glendale leading the Blue Division with a 2-0 record. The All Blues are looking to improve their 1-1 with another win before next weekend’s away game to San Diego. Last season, the All Blues went 1-1 with the Raptors with a home win of 33-22, but loss in Denver with a 17-50 score. This is the 2nd home game of the season for the All Blues, with one more to go on Halloween against ORSU. Join us this Saturday at St. Mary’s College in Moraga, CA! Kick off is at 10AM with a B-Side match to follow at Noon. Plus, come follow us to our Beer Bust held at Toad Hall in San Francisco at 3pm. $10 Unlimited Beer till 7pm. Saturday is a rugby! This week’s social theme is Denim Dynasty. Please dress in your Canadian Tuxedo best. Kickoff 10AM, B-Side match: Noon. Starts at 3pm with a Denim Dynasty social theme. $10 Unlimited Beer!